For companies whose business relies on the storage and transmission of electronic information, data centers are arguably the most critical operational facility of a company. Some of these centers are small with minimal staffing and often are stand-alone facilities. 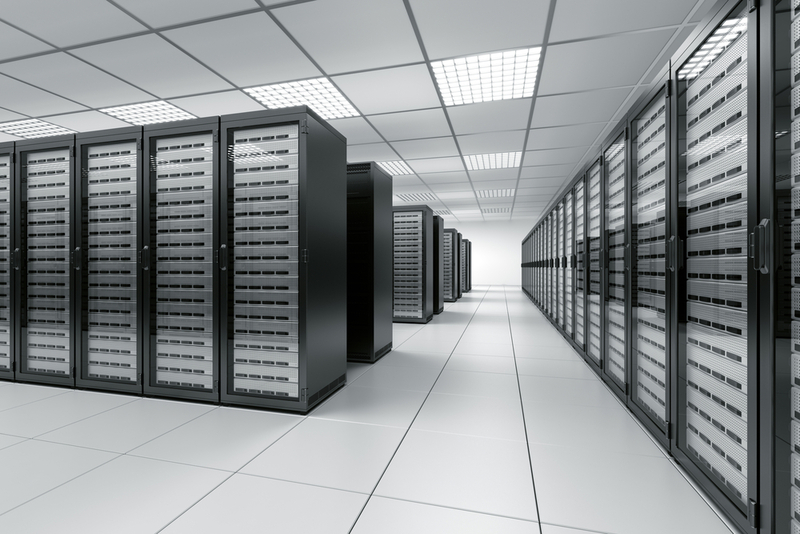 Other data centers are large centralized facilities with larger staffs and many more systems that are critical. Regardless of size, data centers have zero tolerance for unscheduled down-time; consequently, attention is focused on their primary function – the maintenance of communications and related electrical circuits. With this focus, one area of extreme importance that is often neglected is the chemical water treatment for the HVAC systems. The water treatment cost for a typical data center is generally a small budget item. Unfortunately, the responsibility assumed by the water treatment vendor due to the nature of the facility is not necessarily reflected in the revenue generated by their contract. The failure or shortened service life of any of the critical cooling systems directly impacts the ability of the data center to serve its essential purpose and also increases the operating cost and financial performance of the facility. The potential for the failure of critical HVAC systems due to poor water treatment typically goes unnoticed and is slow to develop. It is also an irreversible process. The loss of useful life generally cannot be reclaimed without replacing system piping and other components. Procurement procedures for water treatment services will vary from facility to facility but typically involve the selection of a water treatment vendor through a bid process. Once the contract is let and the program is implemented, oversight of the vendor’s performance is generally limited. Quite often after awarding a contract, the water treatment program is left to the vendor to implement, based on “good faith”. Ambient strongly recommends the assignment of a qualified individual to monitor the transition and the long-term treatment. Regular review of the vendor’s service reports, paying specific attention to contractual obligations. Review of technical data submitted by the vendor, again paying attention to contractual obligations and other issues. Quarterly or semi-annual review meetings with the vendor and the person who is supervising the program for the facility and or the portfolio. The supervision of the water treatment program should not be left solely to the vendor, as the pressures to grow their business can detract from the vendor’s attention to your business. This loss of focus is not intentional, but reflects the economic climate in which water treatment vendors operate. The vendor’s costs are continually rising, personnel changes are costly and sometimes unavoidable, and the pressure to realize growth impacts the vendor’s ability to provide the time and resources necessary to meet the vendor’s obligations. The conditions that lead to failures in critical heat-transfer develop slowly, but once the damage starts, it is irreversible and costly.